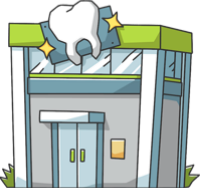 These are the most common insurances accepted by Dentists in Arlington, TX. Dr. Akkad really knows what he's doing. If you snore, he's the guy to see. The courtesy and professionalism of Dr. Akkad's staff is outstanding. Compared to other medical offices with which we have worked, they are a solid 10..
Dr. Akkad is very personable and realistic about expectations of care, he will do his part as care provider and I have to do my part as a willing patient. I had my first visit and I am optimistic about my treatment for OSA, improving my quality of sleep and life. He was attentive and took time when asking questions to listen to my answers/concerns. I will update upon completion of my next appt..
Dr. Akkad is very experienced in the world of Dentistry and Sleep Apnea. He is honest and trustworthy. He cares about you as a patient which is unfortunately not always the case with some professionals. I had a wonderful experience with him and he genuinely cares about you and your health....not the money. I highly recommend him!. ....I think is perfect !. I found Dr. Holler through a friend about 15 years ago. I will not go to any other Dentist. Dr. Hollar is amazing and all of her staff are great. Her Hygienist Kyla is top notch. So thankful I found this Dentist. After years and years of hating my smile and months and months of researching the best dentist for my needs I finally chose "The Art of Dentistry" . I couldn't be happier! Everyone is wonderful there!! I currently have my temporaries and they already look incredible. Can't wait to see the end product! I have faith the end result will be nothing but perfect. Anyone that is hesitant to make a change to your smile. Go for it and go here!!! Love you all!. Like new practice for sale!